I had a special “reading blanket” which was soft and cozy and big enough for the three of us (yes, I dragged my husband into this, even though he warned that if he was lying down odds were high he was going to fall asleep). I settled down with the baby and after several minutes trying to situate myself to hold a book and a newborn without dropping either I started reading. Almost immediately he started crying. Then wailing. Then howling. After checking to see if he was hungry wet or tired I thought maybe he just didn’t like the book, so I tried another. Crying, wailing, howling. This went on for a few nights. Then a few weeks. Then I started crying. I was a children’s book publisher who had a baby who hated to read. I tried reading in the morning, the afternoon, before nap, after nap (who am I kidding, that kid never napped). No go. When I read, he screamed. If you’ve ever Googled “my baby hates to read,” you know you are not alone. And if you do some reading on the subject (to yourself) you will be reassured to know that talking, singing, or reading to your child all help build literacy. In other words, even if your baby hates to read, if you are talking to him, having conversations with him, pointing out things while you change a diaper or walk in the stroller, you are aiding the quest to build literacy skills. So don’t panic. That doesn’t negate reading. The simple act of reading a book to a child is showing them the most basic things like how to hold a book, how to turn the pages, and that we read from left to right. All of this is good modeling, even if your baby is too busy turning red from crying to pay perfect attention. 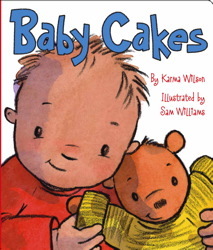 The American Academy of Pediatrics has recommended that babies are read to starting at birth. If you are skeptical about this, I don’t blame you. If you’ve read to a baby, particularly one who doesn’t seem to enjoy it, you doubt the effectiveness. 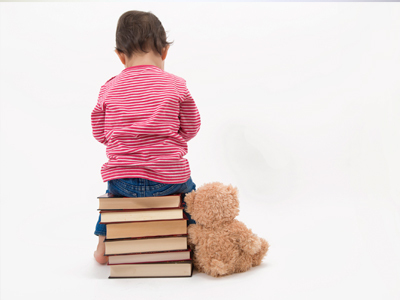 But many studies, including a pretty prominent one, have shown in fairly clear terms that there are differences in kids who are read to and those who aren’t, and the latest research shows that those differences start showing up as early as 18 months. Kids who are read to have more expansive vocabularies and can identify objects of words they know. So, yes, now in addition to feeding schedules, sleep schedules, and possibly learning to shower in 5.4 seconds you need to get in some reading time. The good news is that reading to babies doesn’t have to involve an hour’s commitment. As a matter of fact, it shouldn’t. Short books are perfect, and even a few minutes a day is enough, especially for an infant. But what do you do if your baby hates it? And can babies hate reading? Keep going, and probably not. Your baby probably doesn’t hate books or reading. It’s not a predictor, at a few weeks or months, that you have a reader or don’t. It’s normal for babies to cry and, later, for them to crawl around or not pay attention while you are reading. Keep going. I would imagine a musician isn’t too pleased to show up for a concert without an audience, but my hope would be the musician would still enjoy playing, even if no one was there. So keep playing. 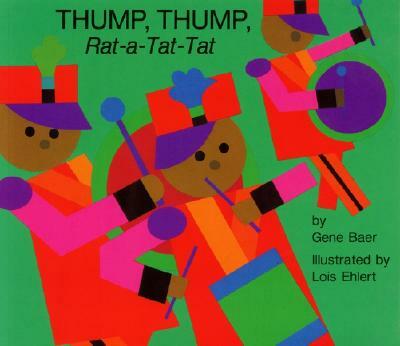 Hum along to the book, make up verses, use your best dramatic reading voice. Try to engage your child. And if that doesn’t work, just entertain yourself. At some point the baby will become curious as to what you are doing. At some point reading together became my favorite time of day, even if I technically didn’t seem to be reading to anyone who was listening. I wasn’t worried about him eating, I wasn’t worried about getting him to sleep. I wasn’t even worried, for those few minutes, that one day he would end up on a national talk show with someone leaning in and saying, “So let’s talk about how your mother failed you.” It was just our time to read a story. Maybe he sensed this. Maybe eventually he decided he liked books. I can’t even remember when it switched but at some point he stopped howling. He quieted down. He nestled his head against my arm and gazed at me. I would open a book, we’d snuggle up and read a story together. It was exactly how I’d imagined it. 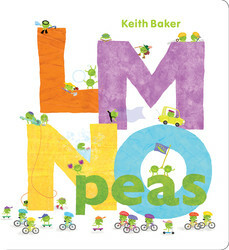 From A to Z—and Acrobat Peas to Zoologist Peas—every letter is exciting in this Classic Board Book edition of LMNO Peas!Get ready to roll through the alphabet with a jaunty cast of extremely cute and busy little peas in this Classic Board Book edition of Keith Baker’s hit concept book. This fresh and fun alphabet book features bright colors, bouncy rhyming text, and silly pea characters who highlight the wide variety of interests, hobbies, and careers that make the world such a colorful place! A distant marching band grows larger and louder as it nears, and then softer and smaller as it goes away again. Susan Jeffers has added more detail and subtle color to her sweeping backgrounds of frosty New England scenes. 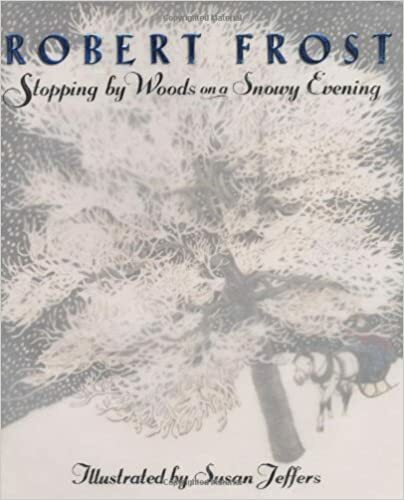 There are more animals to find among the trees, and the kindly figure with his "promises to keep" exudes warmth as he stops to appreciate the quiet delights of winter.